What is Carbon Steel Pipe Fittings ? Aakash Steel is a full line manufacturer and supplier of Carbon Steel Pipe Fittings such as carbon steel reducer, carbon steel elbow, carbon steel tee, carbon steel cross, carbon steel stub ends and carbon steel pipe bends.Our rich technical experience and organized production procedures has helped us become one of the most trusted supplier of carbon steel fittings to large shipyards, fabrication companies, chemical plants, oil refineries, machinery manufacturers, textile, and fluid transportation companies among others. 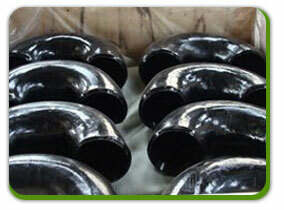 Orders at Aakash Steel are guaranteed fast delivery of the Carbon Steel Pipe Fittings in the country. The main reason being we have an excellent warehousing and storage facilities for both finished and semi finished goods.They are made ready as per the urgent requirements of the customers. The Carbon Steel Pipe Fittings are manufactured to sustain very high pressure and product warranty.In 2016 we have stocked 60 tons of Carbon Steel Pipe Fittings in all sizes, to cater to immediate delivery and urgent needs of the clients. 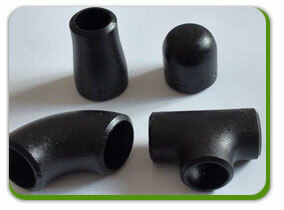 For small requirements we can dispatch the Carbon Steel Pipe Fittings immediately against the purchase order. We stock one of the most extensive inventories of Carbon Steel Pipe Fittings in the industry.We are one of most reputed brand name in the industry for manufacturing and supplying superior quality Carbon Steel Pipe Fittings. We offer of a large collection of Carbon Steel Pipe Fittings with various sizes and specifications required by the customers. Our products are highly known for their exceptional strength, excellent durability and dimensionally accurate. We also export products overseas and have delivered to more than 5 countries. Each order is packaged according to the customer’ s standards including preparation for export such as wooden case, pallet or according to customer’s requirement All shipping documentation is provided for Carbon Steel Pipe Fittings delivery from mill to customer. All Carbon Steel Pipe Fittings are 100% inspected to from the starting point to maintain a good quality.Packing of Carbon Steel Pipe Fittings are packed our all material in wooden box wraps with foam paper as well as plastic, newspaper ,Plastic bubble wrap according to need of customer need.